There was a time when a man was a man. A cowboy rode a horse into the wild unknown, alone, with nothing but the wit inside his skull and a gun at his side to keep him safe. Nowadays, the average man is a quivering mess the second he loses his precious smartphone. It’s quite a sad state we are living in. But not to worry. This can be easily remedied with just the right mix of nostalgia and sweet threads. 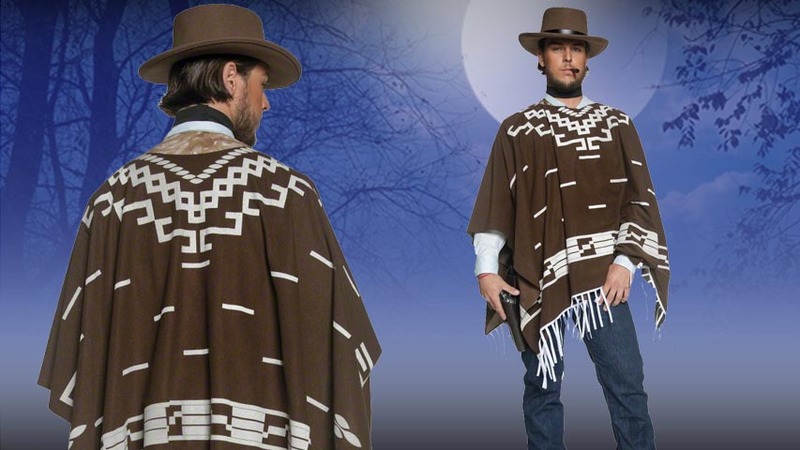 See, even though a true cowboy doesn’t need the right outfit to make him an adventurous, but kind, gentleman, but guys these days need a little extra help, which is ok by us. Everyone needs a little help with confidence sometimes – it’s nothing to be ashamed of. 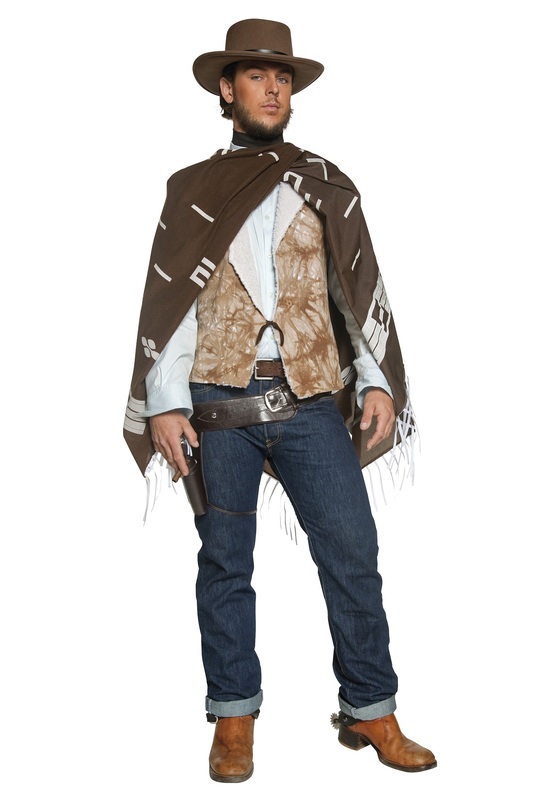 We're not saying you'll love your smartphone any less when you dress up in this western costume, but you might start walking the walk and talking the talk this Halloween! This costume comes with everything a cowboy needs to make his grand entrance for any event. Start the look with the light blue button up shirt that has an attached vest. 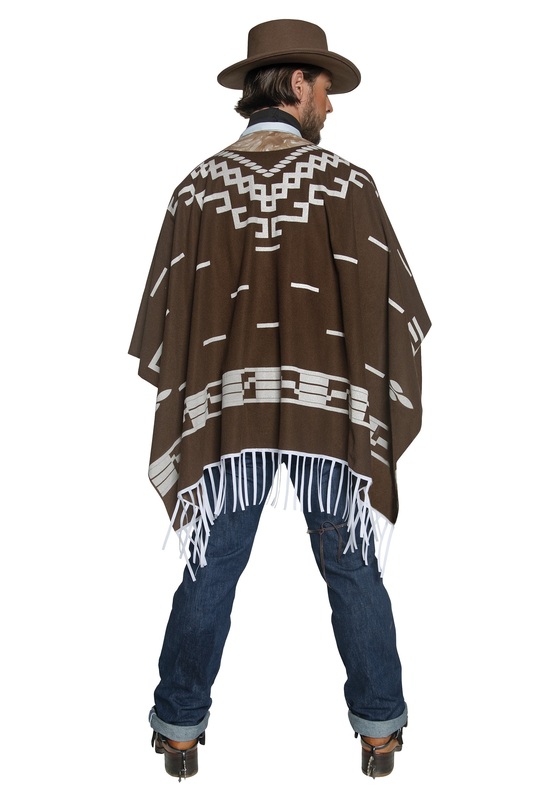 Next, layer on the poncho that has a colorful southwest style design. Complete your look with the included black neck scarf that secures with a Velcro closure. 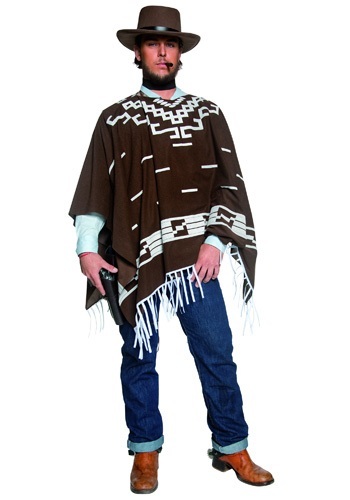 All you need to do is add a cowboy hat and some boots and you’ll have a costume that gives you all the confidence you need to ride into town and claim what’s yours!